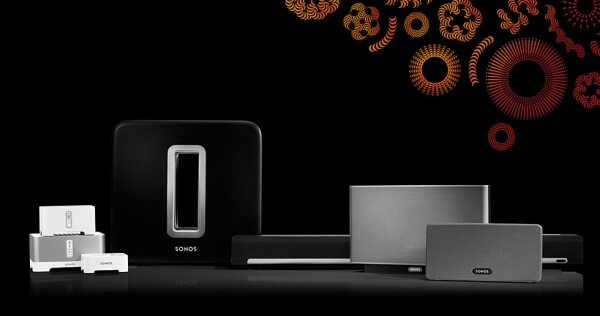 Sonos delivers a multi-room solution that is easy to use, yet very powerful. Sonos is the undisputed multi-room market leader. 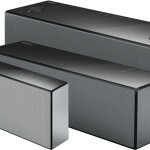 The product line consists of the standalone speakers Sonos Play:5, Play:3 and one. The stationary Connect:AMP (which has an integrated amplifier) and Connect. The sub-woofer SUB, PLAYBAR and PLAYBASE for home theaters. Play:5, Play:3 and one has built in speakers. Play:5 and Play:3 has stereo sound and one has mono sound. All three can also be setup in stereo pairs to fill bigger rooms with powerful sound. One also has Alexa voice control and has replaced the previous Play:1. A new version of Play:5 has been released in October 2015 with 6 speaker elements and Sonos new Trueplay system for optimal room audio setup. Connect and Connect:AMP (previously ZonePlayer 90 and 120) are stationary units that can be connected to a receiver. Connect:AMP can also drive attached speakers due to its integrated amplifier. SUB is a sub-woofer that can work together with Play:5, Play:3, one, PLAYBAR and Connect:AMP. PLAYBAR is a home theather speaker that has nine built in speakers and can be paired with a SUB an two Play:3s or ones to get 5.1 home theater surround audio. 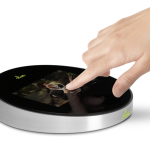 PLAYBASE has the same functionality with the addition of a built in woofer. The devices talks to each other on their own wireless mesh network, so no need for existing WiFi. This makes the setup very easy (no WiFi configuration at all) and the performance more stable. You can connect the mesh network to your home network by ethernet or wireless. Previously there were a requirement for at least on product connected through ethernet. The audio quality is 16-bit/44.1 kHz which is CD audio quality. The lack of HD support is one of the few areas where some competitors has an advantage over Sonos. Even though many cant hear the difference between SD and HD audio. The devices only has buttons for play/pause/skip/volume and they lack screens on them so they require remoting software on either a computer, iPad or a smartphone to work properly. Sonos has official and free remote apps for iPad, iPhone and Android. 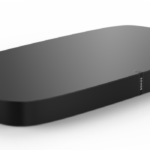 Sonos previously had a dedicated remote, the CR200, but it has been discontinued. Sonos is AirPlay compatible when connecting the audio out and ethernet cable on a AirPort Express to the respective line ins on a Play or Connect unit. Sonos can then play the music in either one zone or many sones synced (Party mode). But it is not possible to target specific different zones like, first the kitchen and later the living-room. It is possible to target different zones by attaching them to ont AirPort Express each. It will get support for AirPlay 2 in 2018. The Sonos units does not have music stored on them. Instead you play music from local network sources like a shared folder on a computer or a server. If you have an iOS device, you can play the local iTunes music on your Sonos devices. You can also connect to a large number of online services like thousands of Internet radio stations or premium services like Spotify, Apple Music, Pandora, Rdio, Google Play Music, Tidal HiFi (Lossless Flac) and more. Spotify for example gives access to millions of songs that can be streamed to different zones at the same time for 9.99$/month. You can play Spotify on Sonos both from the Sonos app and now also from the native Spotify app through Spotify Connect. Activate “Control Sonos from Spotify” in the Sonos app settings to enable Spotify Connect. I visited many web sites however the audio feature for audio songs existing at this web page is truly excellent. Finnaly a complete guide to multiroom music and Sonos features! Thanks!